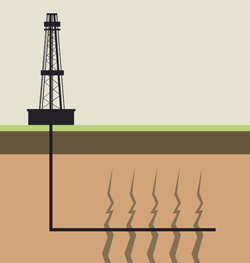 Smokestack: What to do with all this fracking gas? What to do with all this fracking gas? Now that the gas fracking moratorium has been lifted, oil and gas companies are ready to dig in and start exploring. Royal Dutch Shell is one of the companies that have applied for shale gas exploration rights in the Karoo in the hopes of exploring the gas reserves. Other big players are Sasol, in partnership with Statoil and Chesapeake Energy. Sasol being our home-grown energy producer has a fairly long history of converting gas into liquid fuels. The company has operations in Qatar, Canada and Nigeria, among others. In South Africa, however, they appear to be moving more cautiously by maintaining that they will continue to shelve their plans to explore for shale gas in the Karoo while considering the environmental impacts. With all the pressure from environmentalists, they appear eager to be seen as good corporate citizens. However, it is clear that their own studies have suggested that their block is not viable. Another big player in the South African gas cabal is PetroSA (Petroleum Agency South Africa), who in 1992 started operating the world´s first gas-to-liquid (GTL) refinery, Mossgas, at Mossel Bay where natural gas found offshore is refined. PetroSA’s off shore gas reserves are dwindling and although Project Ikhwezi, which is PetroSA’s project to search for additional gas reserves off the coast of Mossel Bay has been authorized by the Department of Environmental Affairs, they have their sights set on the gas that Shell, Sasol and others will be extracting in the Karoo. The question is, with all of PetroSA and Sasol’s expertise in GTL, what will happen to the shale gas that is produced in the Karoo? The answer is a no-brainer because as things stand at the moment, the biggest infrastructure that we have related to gas is for GTL. Currently, PetroSA’s refinery is producing 45 000 b/d until 2020 and in a presentation to Parliament, PetroSA admitted that shale gas could play a key role in the long-term sustainability of the company after 2020. This means, therefore, that they need the Karoo gas to remain viable economically. PetroSA’s interest in the Karoo is clear, which is why it was unethical that the team of experts on the investigation into hydraulic fracturing in the Karoo commissioned by our Minister of Mineral Resources, Susan Shabangu to advise cabinet on the exploration of the Karoo, was led by M.R. Xiphu who is CEO at PetroSA who no doubt pushed the agenda of Petro SA to benefit from shale gas in the Karoo. Our view is that the gas is no doubt going to be developed into liquid fuel in the Mossgas refinery in Mossel Bay. Or maybe not …! Another possibility though, is for the development of a GTL facility at the Coega Industrial Development Zone in the Eastern Cape. For several years, Coega has been on the cards to develop another oil refinery, Project Mthombo. Although PetroSA still holds this as a possible project in the future, there are several problems that the project presents including dwindling worldwide oil reserves and increasing oil prices, lack of a pipeline for transportation of fuel inland and non-feasibility of shipping the refined fuels from Coega to Transnet’s new multiproduct pipeline in Durban. The existing refineries would not benefit from the competition - possibly reducing their capacity to generate higher profits in future. It appears too that with the possibility of substantial new shale gas from the Karoo and possibly from KwaZulu-Natal and Mozambique, the need would be for a new GTL refinery, rather than an oil refinery in Coega - even more so, considering the fact that our refineries are decrepit and uneconomical. With the advent of increasingly high emissions and other environmental impacts from oil and oil refining, it would be easy to justify gas as a cleaner alternative source of energy, what with the added “benefits” of new jobs being created. However, in the bigger scheme of things, whether coal, oil or gas, the environmental and human impacts far outweigh the perceived benefits to the country’s energy security, particularly when there are other more sustainable and renewable means to source our energy. Having said all of this, we might even have a proposal to develop a GTL plant in Nieu Bethesda in the Eastern Cape, where the gas is close at hand, and we are sure there is a desperate need for “sustainable” jobs!